San Francisco-based Uber left Southeast Asia in March 2018 as the company’s SEA operations merged with Grab. Over the course of 9 years, Uber has been one of the most highly funded startups, receiving US$24.2 billion in total to date. However, the ride-hailing firm’s huge yearly losses are a major concern, most recently having lost US$1 billion in Q3 2018. Despite this, Uber is currently valued at US$72 billion, and is hoping to launch an IPO in 2019 at a target valuation of US$120 billion. It feels like a long time since Uber left Southeast Asia—9 months to be exact. But it hasn’t been “out of sight, out of mind”. Since the momentous Grab-Uber merger took place in March, the ride-hailing scene seemed thrown off balance with only one giant left on the roads. Soon, mumbles of “We miss Uber” and “Where are our promo codes?” chorused. Then, Go-Jek arrived on Singapore’s shores late November, finally giving riders something fresh to experience again. Even so, some early users turn back to Uber as a point of reference when reviewing the new app in its beta phase. So while the new era of competition between Grab and Go-Jek unfolds, let’s also take a moment to catch up on how Uber is doing. When their run in Southeast Asia ended abruptly, Uber didn’t seem hurt to lose this market, as they continue to flourish in other parts of the world—is this still the reality? 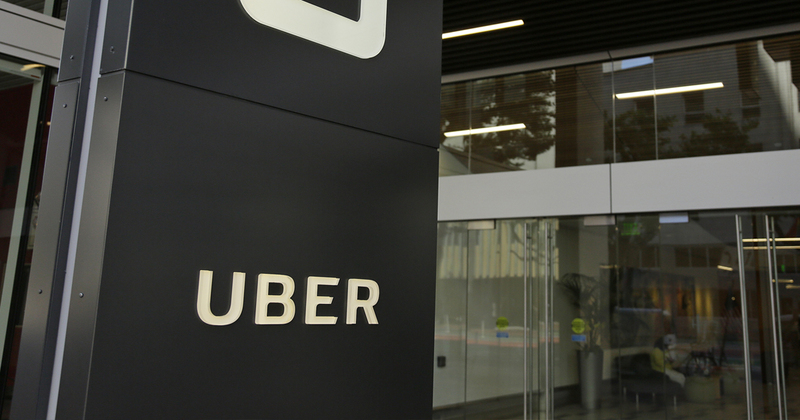 Since the San Francisco-based startup launched almost 9 years ago disrupting the taxi industry, Uber has been attracting massive investments that haven’t ebbed away today. Touting a tech-centred approach of booking rides on-demand, navigating with GPS, and paying instantly via a linked credit card, the app surged in popularity for its convenience and has irreversibly changed the way we commute. This saw Uber raising US$11 million in its 2011 Series A funding round led by Benchmark Capital, followed by US$37 million in its Series B round led by Menlo Ventures, and subsequently US$363 million in Series C led by GV in 2013. Investments made into Uber only grew larger from there on (from millions, to billions). As of December 2018, the company has raised a total of US$24.2 billion over its lifetime, according to Crunchbase. While this indicates steady confidence from investors, Uber hasn’t shown signs of becoming profitable, instead burning losses in numbers as stunning as their funding figures. Most recently they reported a loss of US$1.07 billion in just the third quarter of 2018 alone, after previously losing US$4.5 billion across 2017. Still, Uber gets compared to success stories of tech giants like Facebook and Amazon, painting an optimistic picture that the ride-hailing company similarly has potential to break through into strong profits. To put things into perspective however, Uber has already received 2,600 times the investor funding Amazon did before going public. And on the contrary, Amazon began turning in healthy cash-flow by their fifth year, while Uber is still nowhere near that in their ninth. In spite of all this, Uber hopes to launch their initial public offering (IPO) in 2019 at a targeted valuation of US$120 billion. The current, and highest valuation they have ever sold private shares is at US$72 billion, with still a large gap to the target. Can Uber Turn Its Losses Around? The staggering losses make it difficult to understand why investors still hold to their faith in the company. Recent investors have extended to include prominent profiles from around the world, such as Saudi Arabia’s Public Investment Fund, China’s Tencent, and Japan’s Softbank, currently the largest shareholder with 15% of Uber’s shares. Softbank, which also funded Grab, Didi Chuxing, and other ride-hailing startups, previously invested US$1.25 billion in Uber when it was valued at US$68 billion. They were later able to buy out some existing shares from early investors and employees at a discounted valuation of US$48 billion. Uber had been facing troubling times, with sexual harassment scandals and a major data breach of drivers’ and riders’ personal information being factors that enabled Softbank to negotiate the 30% lowered price. Still, perhaps what investors see in Uber is the hope that the ride-hailing company is on the same path Amazon travelled, going deep in losses first by heavily investing to build up its infrastructure and services, before becoming profitable. Early investors say Uber’s improvements in losses, even though they are still huge, are signs of a promising trend. By these standards, they would have been pleased that the -137% profit margin from 2015 has gone down to -57% in 2017, even if losses that year were still in billions. Another issue to consider is Uber’s problematic methods of curbing its losses—it’s not simply a positive result of increased sales, but comes at the expense of drivers’ incomes. According to a 2018 study by Ridester based on anonymous screenshots, UberX drivers, who make up the majority of all Uber drivers, were paid a median net income of US$13.70 per hour. After deducting costs to cover the vehicle, they were found to earn under US$10 an hour. Drivers are no longer satisfied with what they can earn, which once used to be attractive, and they’re upset enough to take to the streets in protest against low fares and high (25%) commissions that go to Uber. Keeping fares low, unfortunately, is the only way Uber can keep riders on their app. Since Uber entered the market and undercut taxi prices, they’ve set a new standard under which competitors would only enter with even lower prices, and pressure Uber to reduce theirs further. They also attempt to create new types of value for consumers by introducing the food delivery service Uber Eats, and investing in electric bicycles and freight services to build future modes of business. These verticals may prove to meet a wide range of needs down the road, but are costing Uber heavily right now. Even while raking in US$12 billion quarterly in gross bookings across ride-hailing and food delivery, it isn’t able to help recover losses. On top of this, Uber has high operational costs, including fleet purchasing and maintenance, public relations and advertising, recruitment, building a massive HQ and regional offices, and other costs of running a global business. Is Uber Really Up There With The Tech Giants? Despite the idea of providing “economies of scale” for a community of drivers, increasing drivers on Uber eventually stops adding value when there are more than enough cars to pick up riders. After it hits a plateau, having more drivers dilutes their earnings as they compete internally for jobs. In this way, Uber functions differently from the tech giants it’s being compared to. While a growing network of users constantly improves and adds value to Facebook, Amazon, or Google’s core product, it doesn’t have the same effect for Uber. We’ve called Uber a tech startup many times, but ultimately the company just manages a fleet of drivers with an accompanying app, which could reveal why it’s unrealistic to place it on same trajectory as that of the tech gods that have found major financial success. Going into 2019, Uber would have to find a way to drastically pump up its profitability in lieu of their IPO plans, or will likely risk having their valuation slashed in the public listing. At this point, is it still possible to reverse the prolonged years of deep losses and turn things around?